Hello my dear fashionable cupcakes! It is a lovely Wednesday and I'm taking a chance to search for some trendy footwear for upcoming seasons! So that means that you are in for another fab post where I present you stores where you can buy beautiful and trendy seasonal items. 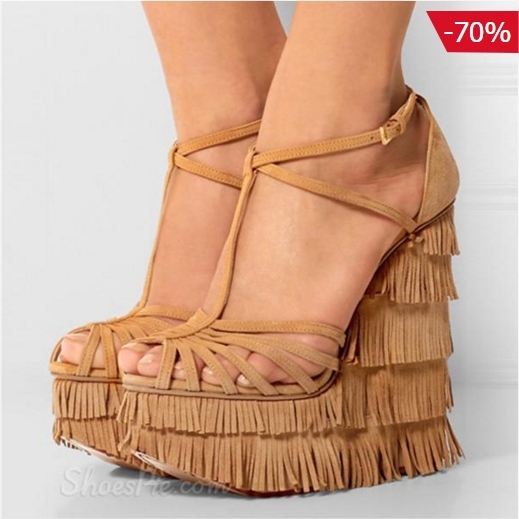 Today we will be fabulous shoes and where to find them on sale! Every girl's favourite topic, right? I picked out some of my favorites for you, you can see them on the photos! Sailor stripes are always in, tassel trend is up on the wedges as well. And I just love the first ones with the lace up. Let me know what are your favorites in comments dolls! These look great! I like the second pair.